The biggest arts event Australia has ever hosted is happening in Perth, The Giants and we’ll be steps away from the action! The Giants are coming! 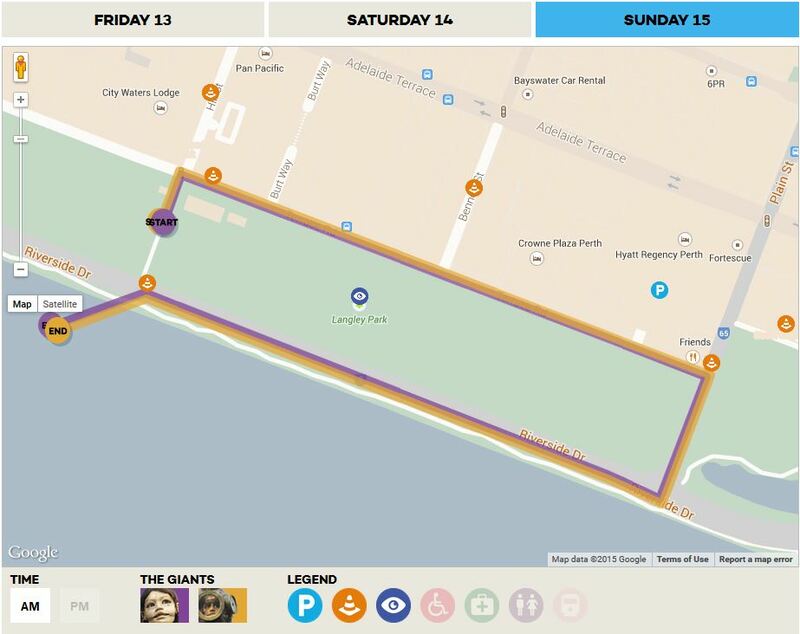 Witness the incredible journey of The Giants as they walk the streets and parks of Perth city. Over three memorable days 13-15 February 2015, The Giants will tell a captivating and truly touching story which you can be a part of. Once we have walked with The Giants, our city will never look the same again. If you want to be moments from all the action for this phenomenal event and have VIP seats (i.e River View Room with private balcony at Crowne Plaza Perth overlooking Langley Park) we suggest you Book Online or contact us today. 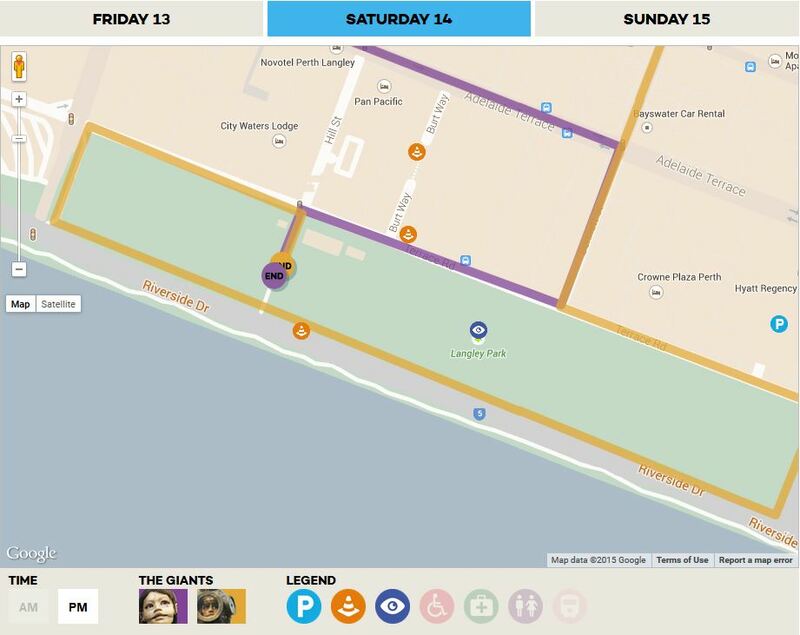 Perth Festival – “The Incredible and Phenomenal Journey of The Giants to the Streets of Perth takes inspiration from uniquely Western Australian stories – of ancient lands, Gallipoli-bound troops and a little girl in a lighthouse who buoyed their spirits. This is our chance to ensure a new generation of Western Australians comes to hold dear that which has shaped us. Once we have walked with the Giants, our city will never look the same again”. The largest arts event WA has ever seen, will take place across 3 glorious days in February 2015. 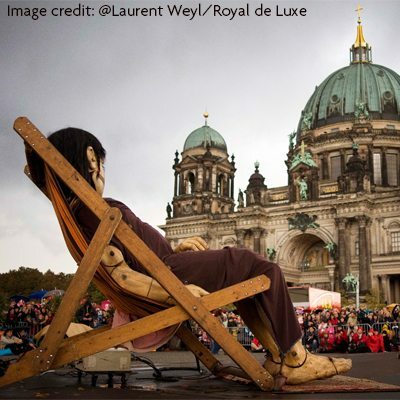 Kicking of on Friday the 13th The Giants will begin to walk the streets. The story continues into Saturday with the finale on Sunday 15 February. No two days are the same so plan ahead and make sure you’re in Perth 13 – 15 February 2015 for this one of a kind Perth Festival event. 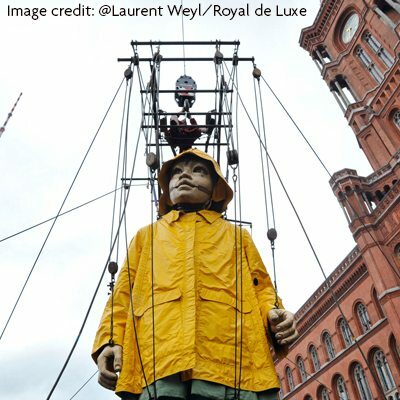 The Giants will take place in streets and parks of Perth city. Langley Park is the biggest park in the city, the perfect spot for The Giants to play, so we’ll have front row seats for this epic event that will take over Perth City. Royal de Luxe is a distinctive street theatre company that developed the saga of The Giants. They travel the world telling a captivating stories on a city-wide scale, bringing together millions of spectators. The Gaints will be the biggest event in Australia Commemorating WW1 and it’s all happening here in Perth. Memories of August 1914 – 2014 Liverpool – August 2014 marks the centenary of the start of the First World War – a turning point in world history. Watch the video below. To celebrate Perth International Arts Festival The Giants, Gusti Restaurant has developed a special lunch menu starting from just $12 and mouthwatering 2/3 course dinner menu. 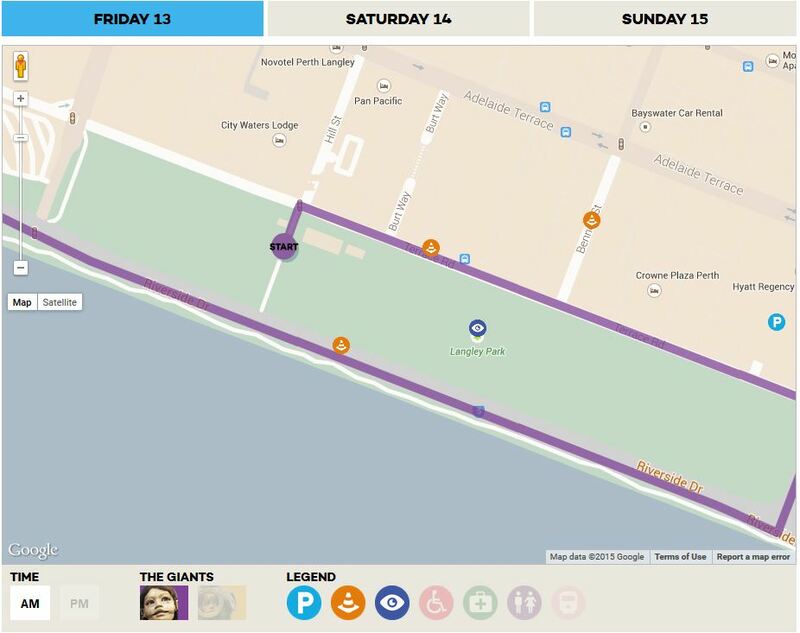 Should your timing be right you may be able to watch The Giants walk right past Gusti Restaurant. Needless to say you’ll be satisfied from a delicious lunch or dinner and moments from all The Giant’s action.